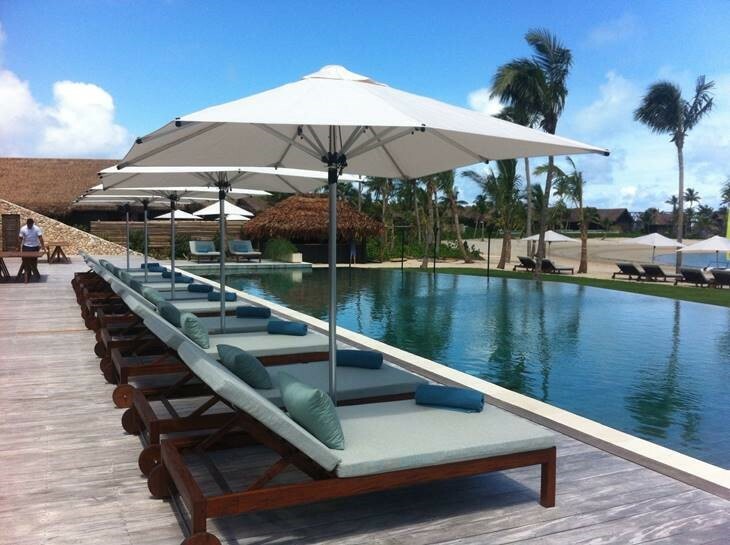 Outdoor umbrellas are a non-negotiable when it comes to resort life in Fiji. 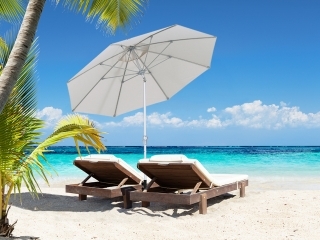 While the hot sun is welcomed, the need to relax under shade has become increasingly popular in our sun-smart culture. 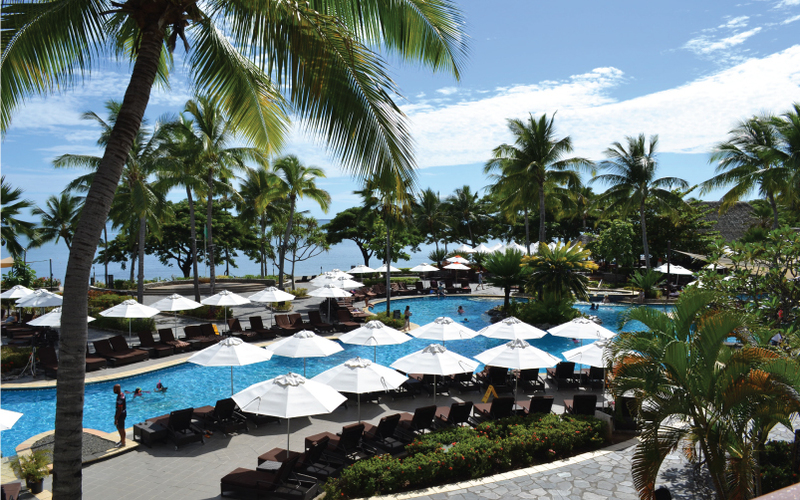 Sofitel Fiji Resort and Spa have provided a large amount of shade for the guests by partnering with Auckland based company Shade7. 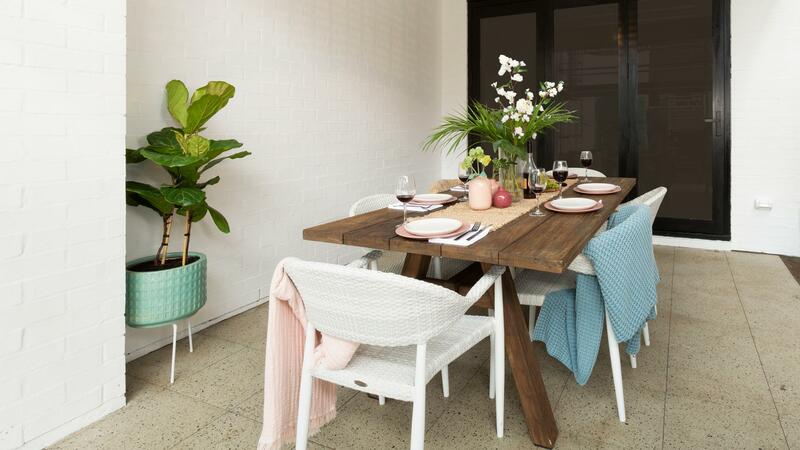 The relationship between Shade7 and Fiji has gone from strength to strength with the promise of market leading quality, durability, and consistency being continuously fulfilled by Shade7. 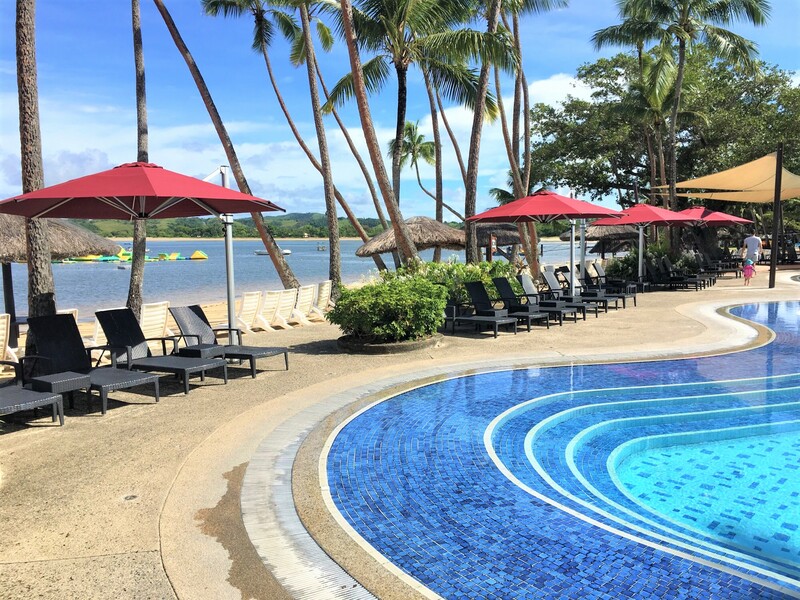 To add to this prosperous relationship, Shade7 has had the opportunity to supply Sofitel Fiji Resort and Spa with the new Fibreglass outdoor umbrellas. 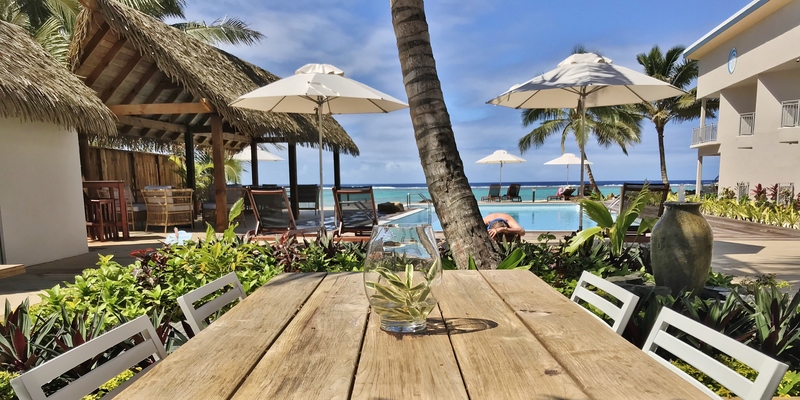 The resort is located on the beachfront of Fiji’s most prestigious Island, Denarau Island which can be victim to harsh weather conditions (especially during cyclone season). 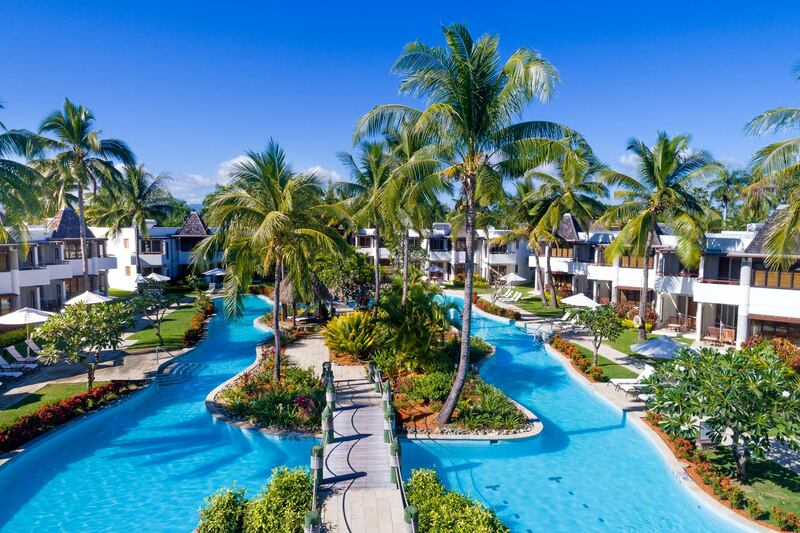 This 5 star Hotel and Resort boasts an impressive 296 rooms with a number of luxurious room types of which is entrenched in the “local Fijian culture” with “an elegant French touch”. While the facilities of Sofitel Resort; a private beach, wedding chapel, three restaurants, a number of bars, and one of the largest ballrooms on Denarau Island, is impressive to say the least, the resort also has a number of relaxing pool areas to accommodate the large capacity of the resort. One of these areas is located on the beach front. 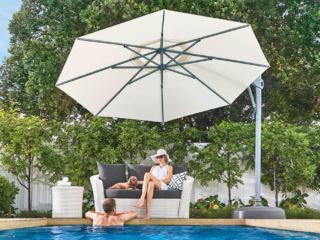 The positioning of the pool and outdoor furniture provided Shade7 with the challenge of supplying an umbrella that is not only durable under rough weather conditions but can be maneuvered by staff to complement the furniture. To meet this challenge Shade7 recommended and supplied the new Fibreglass outdoor umbrella. 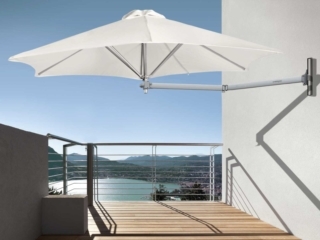 The Fibreglass outdoor umbrellas can be supplied in 3 different sizes and shapes; 1.9m Square, 2.7m Octagonal, 3.1m Octagonal, of which all weigh under 12kg’s and can be split at the mast to allow for easy storage. 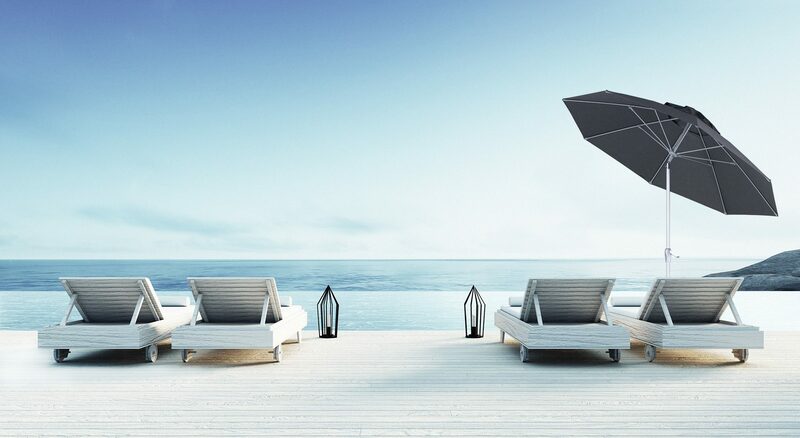 This allows the staff of Sofitel to shift, stand, and erect the umbrellas with ease, it is the material of the commercial umbrella that provides the stability and durability when challenged by high winds. The arms of the umbrella are made out of fibreglass (hence the name) allowing the arms to bend with the wind, much like a fishing rod, rather than resisting and breaking due to rigidness. 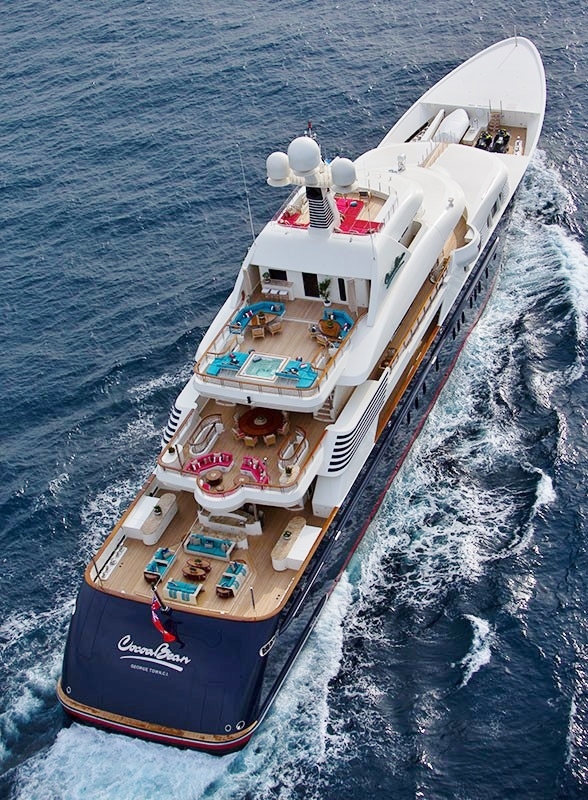 The fabric of the canopy is of the highest quality being supplied by Recasens. 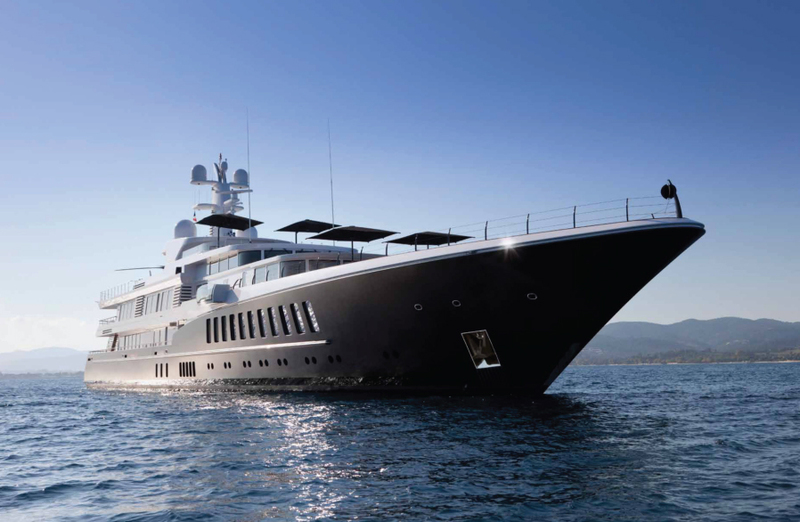 By using a marine grade acrylic canvas, the canopy offers an 80 UPF rating, cutting out the maximum amount of harmful UV light. 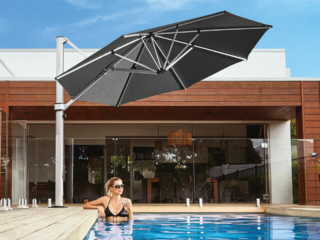 The design of the canopy allows wind to escape through the “top cap” meaning the umbrella will not be found in the pool the next morning. 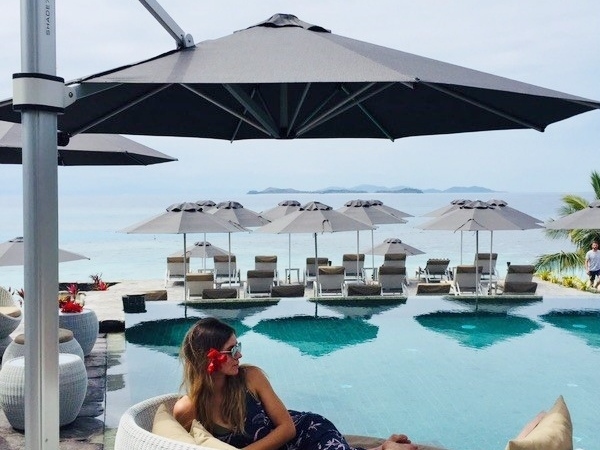 With the large amount of Fibreglass outdoor umbrellas supplied, the Sofitel Resort had requested two different bases to enjoy the benefits both have to offer. The 35kg Concrete Filled Plastic Ring bases have the ability to be split into two components. This makes moving the bases easier. The 40mm Camlock Spigots that had been ordered allows Sofitel a more permanent fixture for umbrellas that they are planning on not using. 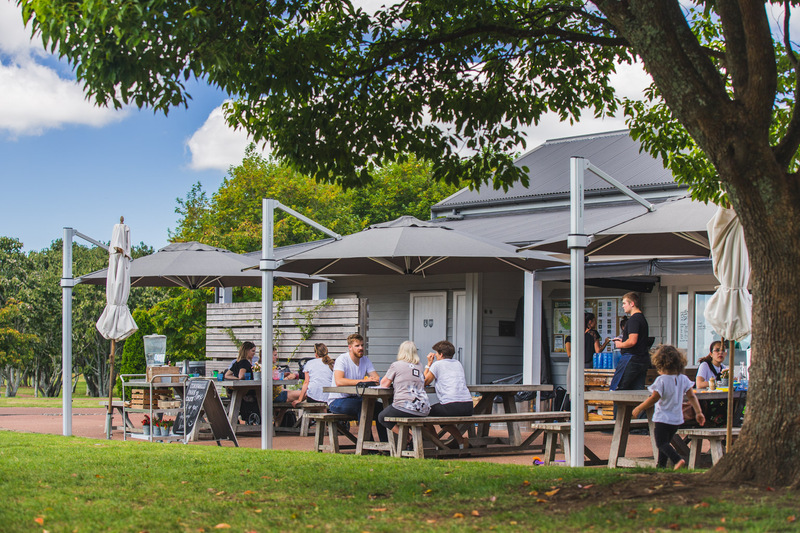 With the bases requested and the flexible but enduring features of the Fibreglass commercial umbrella, Shade7 was able to provide an umbrella that not only works with the environment in hand but also holds to the promise of market leading quality, durability, and consistency. 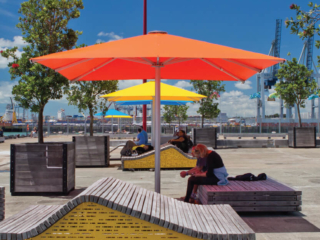 The Fibreglass outdoor umbrellas have been meeting a variety of commercial needs including DB Breweries with their globally recognised beer label Heineken. The Heineken branded umbrellas showcase Shade7’s ability to print on the canopy as part of a marketing tool. 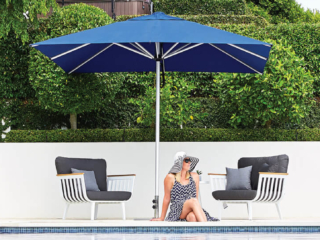 Shade7 supply both commercial and residential umbrellas of the highest quality and welcome any enquiries.